We love to welcome customers into our restaurant at Joy Raj but if you usually drive to the restaurant for an evening meal, you need to read this article. Parking in Clifton Village has always been an issue. Here we provide guidance on how you can still easily access Bristol’s finest Indian restaurant after the new Clifton Village Residents’ Parking Scheme comes into force on 16 March, 2015. 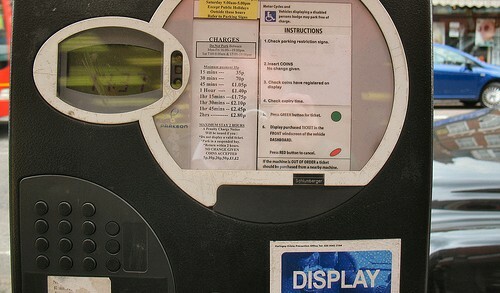 From then, you will need a pay & display ticket to park in some of the areas located conveniently close to the restaurant, such as Princess Victoria Street, Merchant’s Road (opposite) and the south end of our road, Regent Street. Most of the surrounding side streets will start to operate a residents’ parking scheme which will be in force Mon-Sat 9am-9pm. However, you will be able to pay & display in these spaces with a maximum stay of 3 hours — more than enough time in which to enjoy a meal at Joy Raj. Further details can be found on the Bristol City Council website. At street level, there will be a sign next to each parking place to let you whether you need a permit or a pay & display ticket to park there. To avoid the need to pay & display, the scheme is not in force on Sundays and the restaurant remains open all day Sunday and also after 9pm seven days a week. Alternatively, we expect that there may be a limited number of free spaces available in Cliftonwood, to the south of the restaurant on streets like Goldney Lane and Clifton Vale. 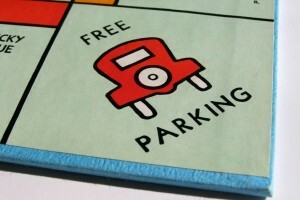 Please note that these streets are on steep hills so you will need to be fairly mobile to park free of charge in them. Similarly, there may be some free spaces adjacent to Clifton Downs but this is approximately 10 mins walk to the restaurant. We will continue to monitor availability of convenient free parking for our customers and provide updated guidance here in due course. Remember that we have an extensive menu of delicious Indian, Bangladeshi and Pakistani fusion dishes available for home delivery right to your door, meaning you do not need to worry about finding a parking space. You will also be able to order food for collection from Joy Raj and park free of charge in any pay & display parking places for up to 30 mins. Simply call 0117 973 8101 / 0117 923 8892 and look out for online ordering coming soon to this website.